We are delighted to say, as you can see due to their popularity some have already sold out! 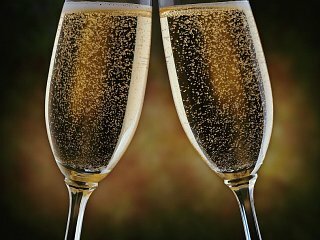 Our party nights start at 7pm with the bar open, we then have everyone seated for 7.15 for the meal to be served shortly afterwards. The meal is a delicious 3 course menu with a choice of 3 starters and 3 desserts. 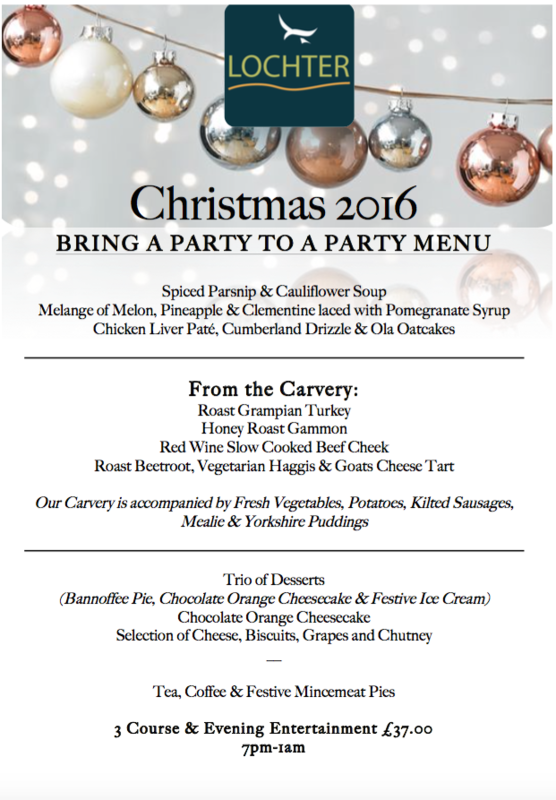 The main course is carvery style with the freshest local produce possible. Our resident DJ is on hand to entertain after the meal till 1am. For just £37 per person, you are guaranteed to have a GREAT night!!! After a couple years break, we are bringing back our Hogmanay Doo this year. We have vamped it up and themed the evening with style. The evening starts at 6/6.30pm with a COMPLIMENTARY arrival drink, seated for 7pm for a 3 course meal followed by dancing to the popular band GLITZ with some disco inbetween. At midnight we will have cheese, biscuits and a glass of bubbly on hand to celebrate. The bar will shut at 1.30am. 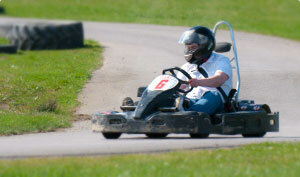 All this for just £68 per person. 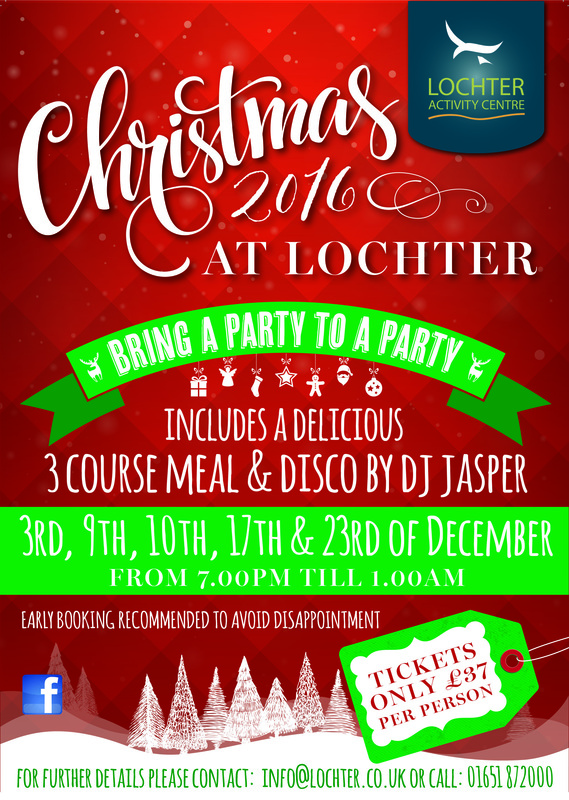 Call us on 01651 872000 or email info@lochter.co.uk to book your place today! 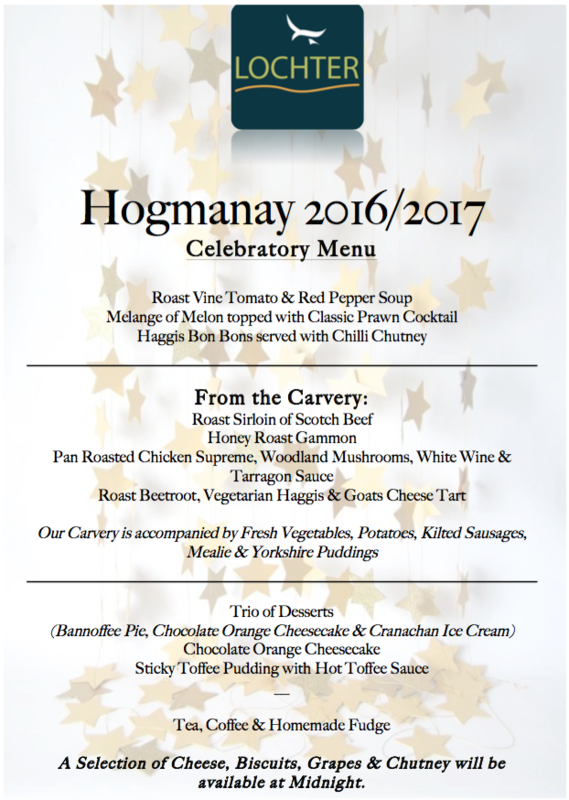 Not only are we hosting our ever popular Bring a Party to a Party Christmas nights, we are bringing back our Hogmanay Doo this year, it will be BIGGER and BETTER than ever!